Oh Mah Gah!!!! 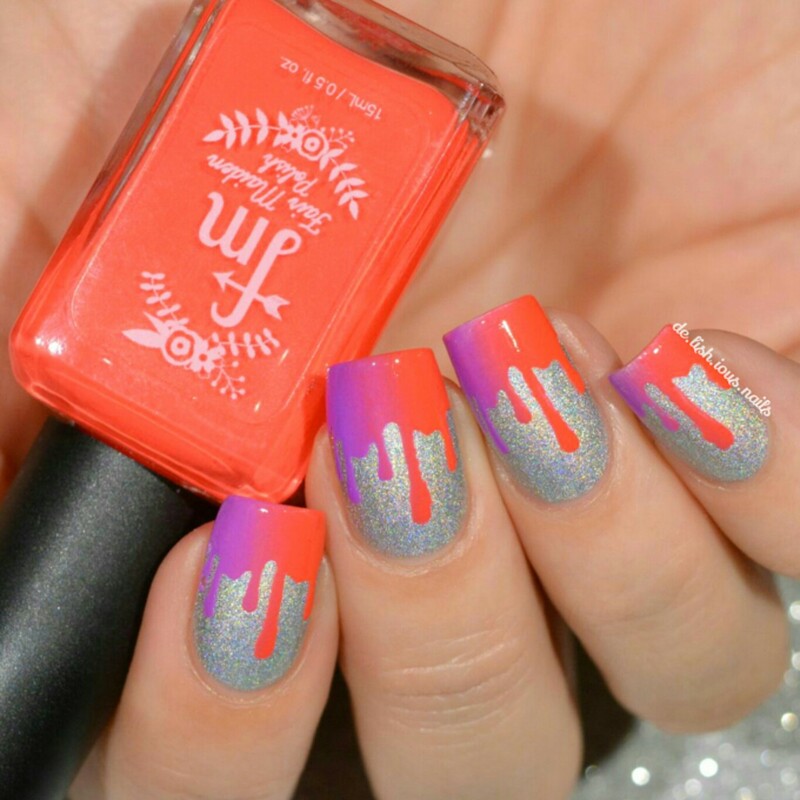 I have an awesome nail blogger guest posting for you!! Alicia from De-Lish-ious-Nails is one of my biggest nail crushes and a super super sweet lady I have gotten to know a little better lately. She is so incredibly talented and humble at the same time! Let’s see what she prepared for u! Today I am going to share with you a nail art look I recently did. You guys are the first to see it and I hope to have it shared on Instagram and Facebook soon. I chose to do a post on this because I am a tiny bit obsessed with the Fair Maiden Rainbow Brites. They are so creamy and opaque! And they gradient really well! I started this look by applying my holo-y base. Then I used a quick dry topcoat and let it dry before applying the vinyls. I love these paint drip vinyls! After applying the vinyl to my dry nail, I used a makeup sponge and sponged on the red and purple. I did a quick clean up and applied another coat of top coat. Getting a picture without a glare was the tricky part, I still wanted to be able to see the design but I didn’t want to matte this look. I hope you enjoyed reading this and I hope you come visit me here! Thank you SO much Alicia for helping me out while I get back on my feet! and thank you for your friendship! You must follow her guys! !